Astronomy is unique among the physical sciences in that amateurs play a meaningful role in active scientific research. Wesleyan graduate student Colin Littlefield will discuss the study of variable stars and the ways in which amateur astronomers with no formal scientific background can contribute to the understanding of these objects. 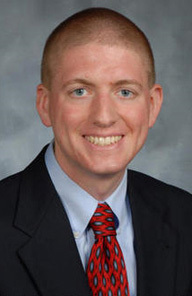 Before enrolling at Wesleyan, he gained nearly seven years of variable-star research experience as a non-science student at the University of Notre Dame, graduating with degrees in political science and law. 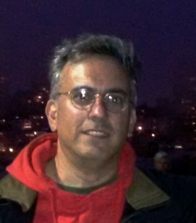 Alan Friedman is an artist and avid solar astro-photographer who records the sun from his backyard in Buffalo, NY. His images of the sun, moon and planets have been featured on NASA’s Astronomy Picture of the Day and appear frequently in print and digital publication. His photographs have been exhibited internationally and are represented by Photo-Eye Gallery in Santa Fe. His work and techniques have been the subject of lectures and articles, a TED talk, interviews on MSNBC's TODAY show and in the book, Lessons From the Masters, edited by Robert Gendler for Springer Publishing. The International Occultation Timing Association is the leading organization involved in the collecting of timing data for asteroidal and lunar occultations. With simple equipment and a little patience, asteroid profiles, lunar limb profiles and asteroid satellites can be discovered..
Albert is a graduate of Rutgers University. Amateur astronomy has been part of his life since he was 10 years old. 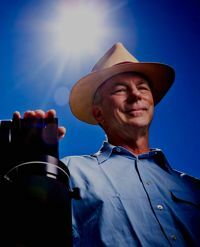 He began observing asteroid occultations in 2008. Three topics will be covered; a brief summary of the existing (and some possible new) ALPO observing programs, some interesting features on the moon, and some thoughts on why we continue to observe the moon. Lunar observation can range from visual observing and sketching of features, to imaging, photometry, spectroscopy or even polarimetry. Various features can be a challenge to detect or identify, contain interesting structure, or undergo changes in appearance as illumination changes. And, of course, there’s the question ‘Are there real short term changes on the moon?’ Finally, in an age of spacecraft, why do we still observe the moon? I'm currently a member of the South Jersey Astronomical Society and ALPO Lunar Topographical Studies and Selected Areas Program coordinator. After obtaining a PhD in Astronomy from the University of Arizona, I taught college and did research in the area of infrared stellar spectroscopy for five years before taking an aerospace industry job supporting Spacelab science missions. When the Shuttle Spacelab program ended I retired. After a few years developing gamma ray detectors for oil well drilling and coal mining I returned to New Jersey and taught astronomy at our local community college, from which I’m again retired. My lunar and planetary interests resulted from a combination of moving back to New Jersey with its bright skies, and the introduction of webcams, which greatly simplified imaging. In addition to lunar studies, my other astronomical interests include stellar spectroscopy and public star parties (where the moon and planets seem to be particularly popular). On behalf of SARA, (Society of Amateur Radio Astronomers). this talk will cover the beginning and basics of radio astronomy; how amateur radio astronomers can receive electromagnetic radiation from the Sun, Jupiter and detect meteor showers. Jack will show the 'Radio Jove' system used for observing the Sun and Jupiter, and how he used a B&W table top TV to detect the 1998 Leonid Meteor shower. SARA is a non-profit, scientific, international society organized in 1981 with the sole purpose of supporting amateur radio astronomy. SARA members are dedicated enthusiasts who teach, learn, trade technical information, and do their own observations of the radio sky. The Society has hundreds of members worldwide, who are optical astronomers, ham radio operators, engineers, teachers and non-technical persons. Many members are new to the field, and membership is extended to all who have an interest in radio astronomy. 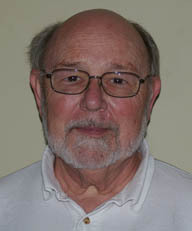 Jack St.Louis is a Burlington, Vermont native, who became interested in astronomy while in junior high school, joined the Junior Vermont Astronomical Society about 1966. He made telescope mirrors and built his own Newtonian telescopes, was involved in the construction of the first 3 of the VAS’s 6 observatories, taught astronomy lab courses for the University of Vermont, Intro Astronomy courses for Burlington College, helps with VAS outreach programs, is the current VAS President and also a member of SARA, the Society of Amateur Radio Astronomers. Jack has two adult children and 4 grandchildren. 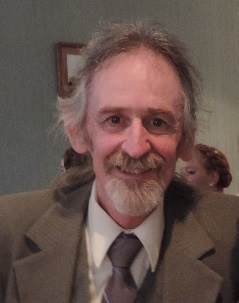 He was a TV repairman in the 70’, a technical instructor for Digital Equipment Corporation in the 80’s, worked for UVM’s Computer Operations in the 90’s and later the Information Security Office, until retiring from UVM in May 2014. This talk will provide an overview of how the serious amateur can get involved in actively monitoring celestial objects from planetary bodies to quasars using a CCD camera. We will look at why you might want to consider such research, what the costs of entry into this sort of citizen science are, the kinds of science that can be done and have been done as well as the organizations that can support you in this type of pro-am work. This talk will rely on the basic photometric concepts that speaker Colin Littlefield will introduce in his talk. To get the most out of this evening's discussion about photometric observing, please attend Colin's morning talk covering the basics of photometry. 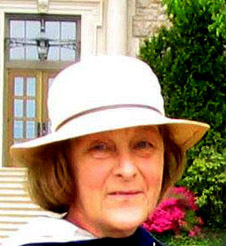 Leslie Brown received her PhD in 1992 from Brandeis University with a degree in Physics. Her thesis work however was in astrophysics and her dissertation studied the evolution of the VLBI polarization of the superluminal quasar 3C345. She started working at Connecticut College in 1992 as an assistant professor of Physics and Astronomy. Currently, she is the primary instructor in astronomy at Connecticut College. 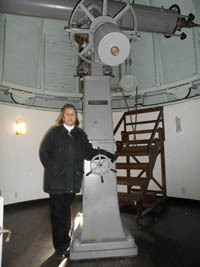 In this job, she not only teaches and does research, but also takes care of the College’s two major telescopes: 1888 Clark refractor that sits atop Bill Hall and the 1996 20-inch Optomechanics Ritchey-Chretien reflector located in the Olin Observatory. Her current research with undergraduate astronomy and physics students involves conducting BVRI CCD photometry of active galaxies. Dr. Brown started collaborating with the local astronomy club, the Thames Amateur Astronomical Society (TAAAS) , to host community star gazing and related-astronomy events around 1996 or 1997. It has been a very successful partnership and this teamwork has resulted in numerous astronomyevents at Connecticut College in the intervening 18 years.